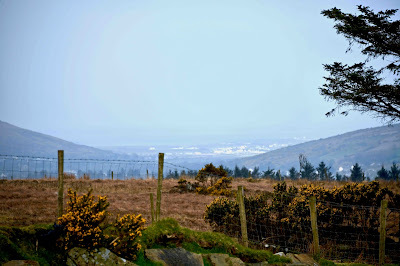 Daylight was just breaking as I drove out of Shannon Airport in our rental car after a red-eye flight from the USA. Although there were two feet of snow around my house when I left Maine, I smelled freshly-mown grass in Shannon. Birds were chirping and trees were flowering and I inhaled the distinctive fragrance of burning peat from a nearby chimney. 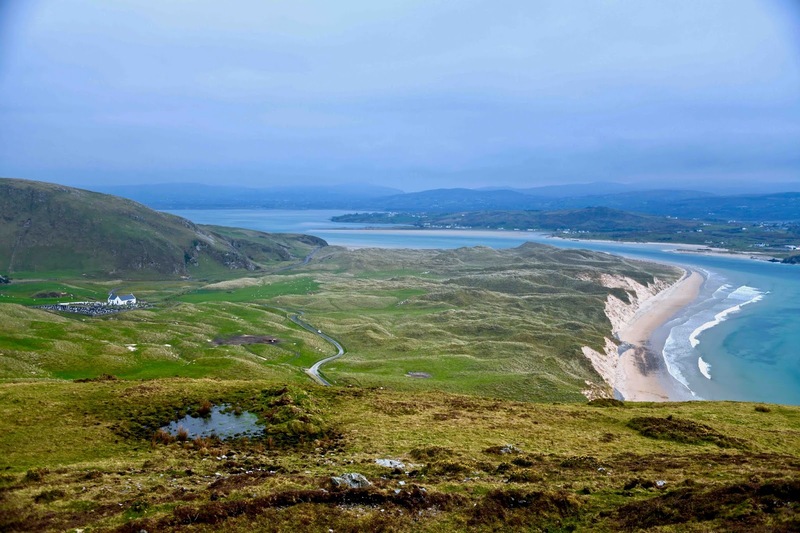 My wife and I had a couple of days to kill before heading north to meet my brother and his girlfriend in Carndonagh, Donegal on the Inishowen Peninsula to show them the farm where our great-grandfather, James “Wee John” McLaughlin was born in 1878. 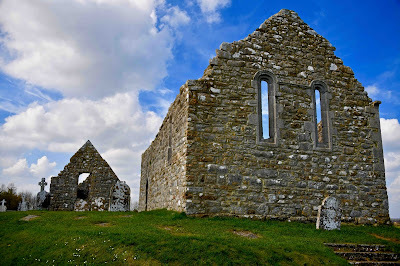 We drove to the old monastery at Clonmacnoise near Athlone in County Offaly on the River Shannon. It had been established by St. Ciaran in 544 AD as a center of teaching and learning. 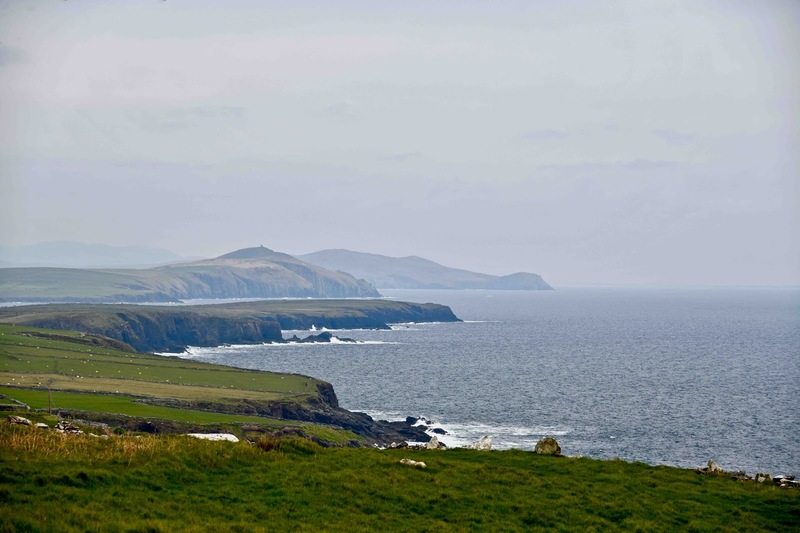 Along with St. Patrick and others, Irish monks brought civilization to what had been a collection of savage tribes in Ireland. As if that weren’t enough, they then preserved European civilization after Germanic barbarians overran the western Roman Empire by harboring other monks who brought precious manuscripts with them containing much of the accumulated knowledge of Rome. Monks from Clonmacnoise, Glendalough, and other Irish abbeys made multiple copies and redistributed them in western Europe after the barbarians had settled down. After revisiting our ancestral McLaughlin homestead in Inishowen, my wife and I headed south to explore the Beara Peninsula which straddles Counties Cork and Kerry where the Sullivans and Harringtons, also on my father’s side, originated. 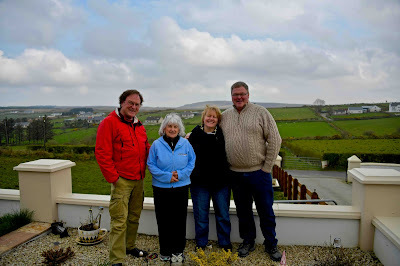 We stayed at a B&B in Kenmare which is central to Beara, Dingle, and Macroom, Cork near where other ancestors, the Mahoneys, lived. The Dingle Peninsula on the southwest coast has the most stunning landscape in Ireland. I haven’t been everywhere, but I’ve seen quite a bit of the country and I have to agree with several others who consider Dingle the prettiest. My wife and I visited there ten years ago but it was snowing sideways and visibility was poor. Last week the sun was in and out and we spent most of a day driving all over it. 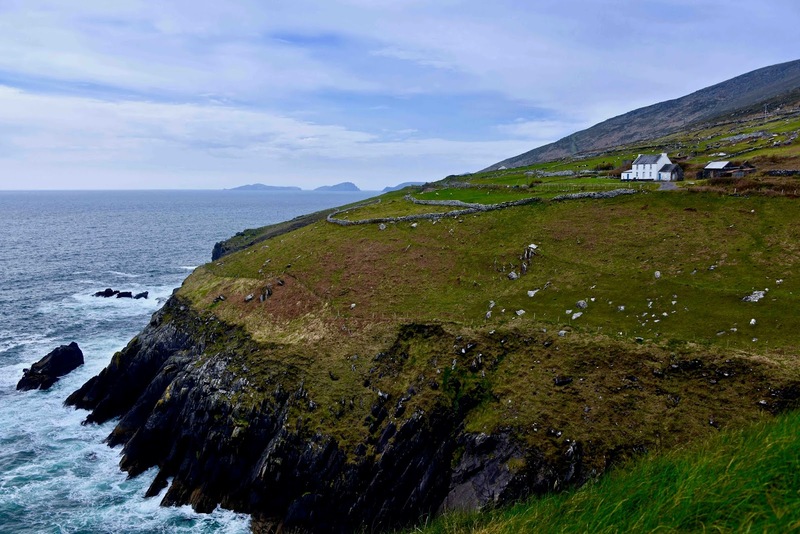 All of Ireland is charming but Dingle with its steep mountains down to the sea is quite dramatic. Returning to our B&B in Kenmare, the Garmin GPS unit directed us through the Gap of Dunloe, across The Black Valley, and on through Moll’s Gap. I would not have chosen that route if I knew what was involved. It’s a one-lane road for almost the entire eleven kilometers snaking up high and down low through switchbacks and around glacial boulders that have toppled into the two gaps and between which the car barely fit. I shifted into low gear and crawled around each sharp turn in case another vehicle was coming the other way. If there were, he or I would have to back up to a wider spot and drive past each other without breaking off our mirrors. My wife was almost in a panic several times, while I strove to resist the contagion of her anxiety as I steered. 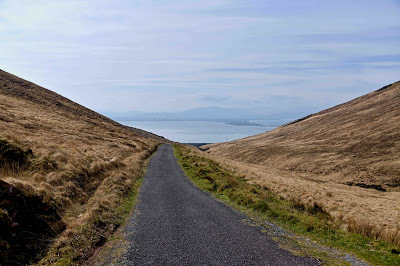 For her it was like riding on the scariest of roller coasters as we traveled through several such gaps and passes all over the mountainous regions of Ireland. She would marvel at the stupendous views, often saying: “Look at that!” but I simply couldn’t. I had to concentrate on the road ahead lest we drive off a cliff into oblivion. 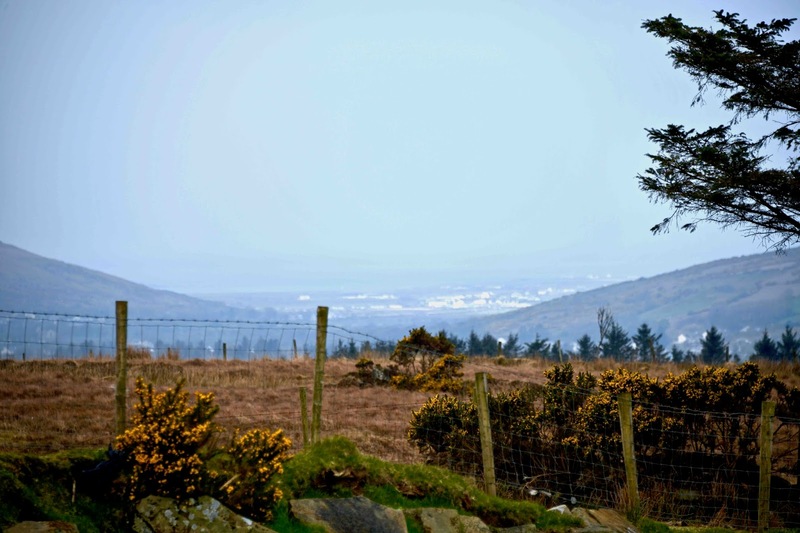 There are very few trees in Ireland which allows for wonderful panoramas, but it also reveals hair-raising views of how far down our car would fall off a steep mountainside before ever hitting bottom. Not a country renowned for culinary skills, it used to be said that an Irish seven-course meal was a six pack and a boiled potato. Trying to keep down expenses, we sometimes purchased our dinner at the deli counter of a local supermarket and went back to our room at the B&B to eat, but when we ate at a restaurant or a pub on this trip we were quite pleased. Wherever we went there was talk of Brexit both in the North and in the Free Republic of Ireland. All are disappointed that negotiations are extended for another year. They want it over with but neither side wants a “hard border” between Northern Ireland and the Republic which may result. 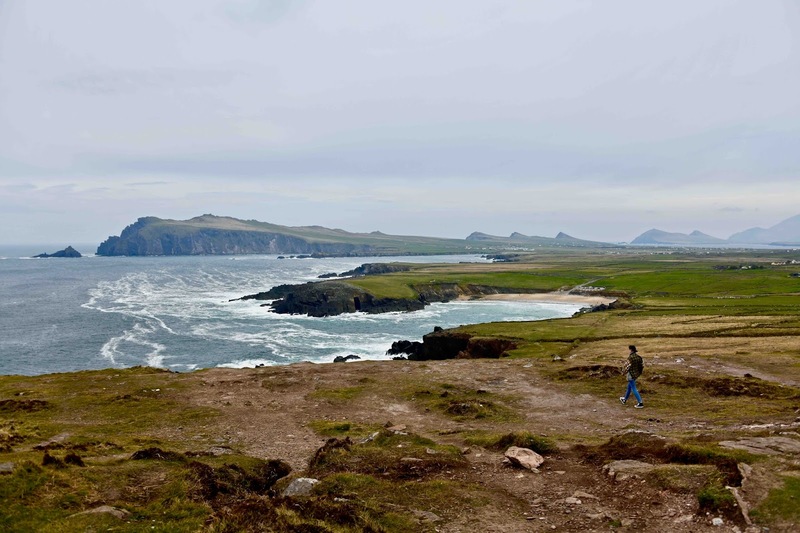 Ireland ships a lot of food to the UK and Irish people are unsure of how trade conditions would change. Some in the North think reunification of Ireland north and south might happen. 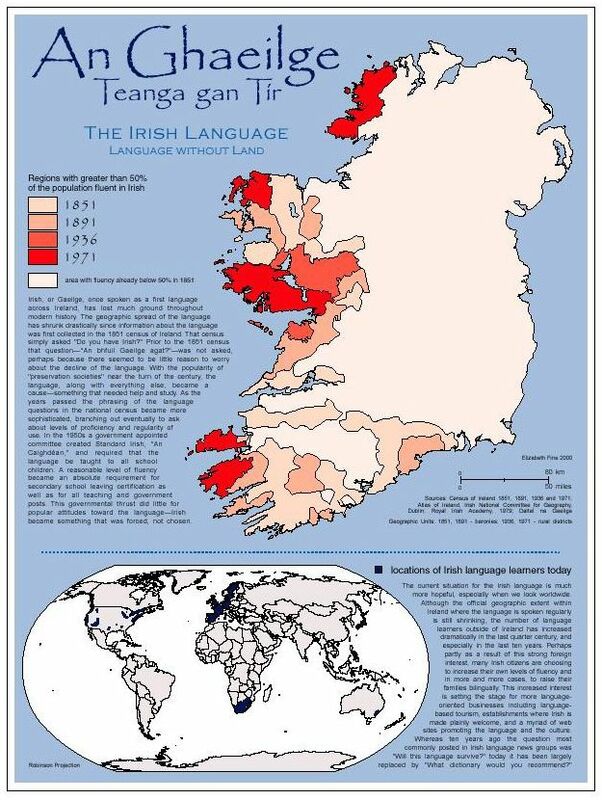 If Scotland breaks with the UK, Northern Ireland may as well. We toured Derry’s Walls and got a first-hand account of the troubles there, now quiet after the Good Friday Agreement negotiated by former Maine Senator George Mitchell has held for twenty years now. Many McLaughlins were caught up in that conflict over the centuries. 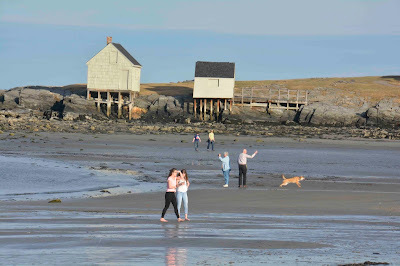 Many elderly citizens in my small western Maine town of Lovell were summer people from Massachusetts, Connecticut, and Rhode Island who always planned to live here full time after retirement. I expect that’s true in other towns in a state where “Vacationland” is stamped on our license plates. I’m semi-retired myself and part of my income, aside from my teacher’s pension and Social Security, is from managing vacation properties here. It dovetailed nicely with teaching and I kept doing it after retiring in 2011. The small contractors I use for plumbing, excavation, carpentry, etc. tell me often how hard it is to find help — especially competent help. 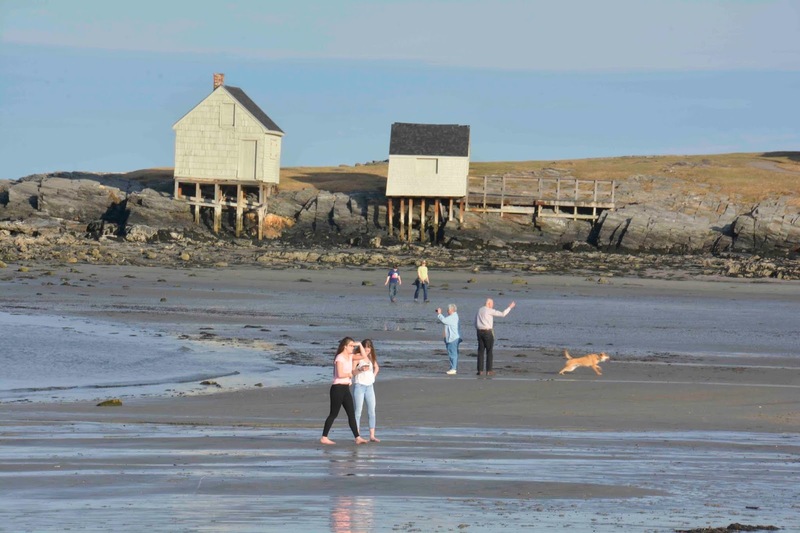 Maine is the oldest state in the country, demographically speaking. 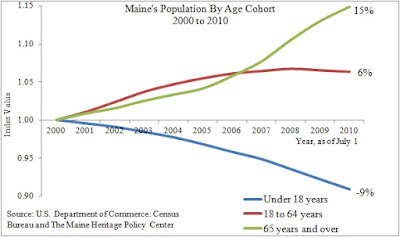 According to a recent Boston Globe article: “Maine is one of only two states, along with West Virginia, where deaths now outnumber births,” and “many young people move away in search of opportunity,” further exacerbating the problem. 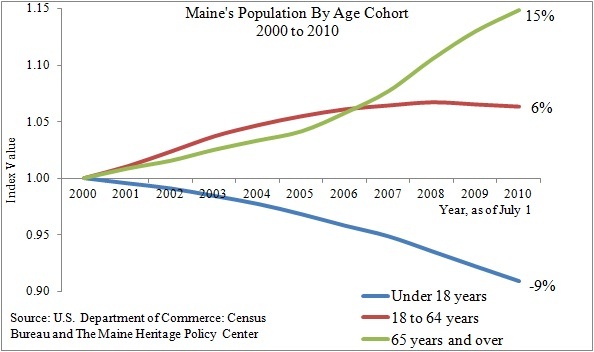 Counties in northern Maine see declining populations while York and Cumberland counties in southern Maine are increasing by three and six percent respectively. Median age is 44 statewide. 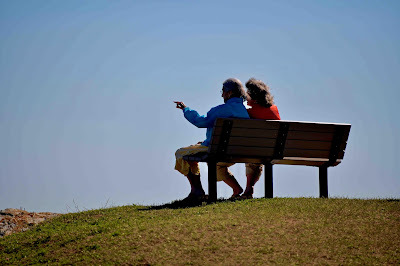 There are more people over 65 than under 18. The over 65 demographic is predicted to rise 37% by 2016 while all other age groups decline, according to the Globe. Why don’t 21st-century Americans want to have children? When I looked into the problem for previous articles, opinions varied. Some young people said openly that it was selfishness — that children are expensive and require a lot of work for a long time. Some women said they wanted to avoid stretch marks and saggy breasts. Some had parents who divorced and didn’t want any of their children to go through that painful experience. Some said the earth’s environment couldn’t handle too many more people and they wanted to reduce their carbon footprint. Catholic pundits suggest it’s a lack of hope. 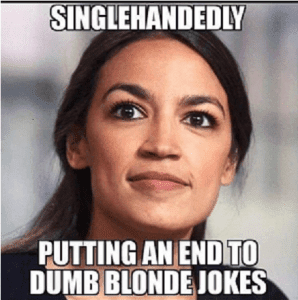 Young celebrities like the 29-year-old Congresswoman Alexandria Occasio Cortez (D-NY) declared recently that the world will end in twelve years if we don’t take drastic steps like passing a “Green New Deal.” That certainly lends credence to the no-hope theory for her demographic. The Catholic Church taught (I don’t know if it still does) that despair is a sin, and that suicide — the ultimate despair — is too. 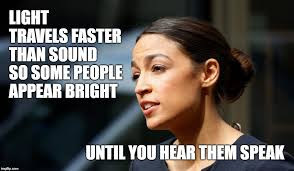 AOC recommends that her cohort forego having children and eating meat as well because of the methane cows expel from their rear-ends. She wants us all to be childless vegetarians. The Catholic Church’s influence with young people has seriously declined in America and in the entire western world. 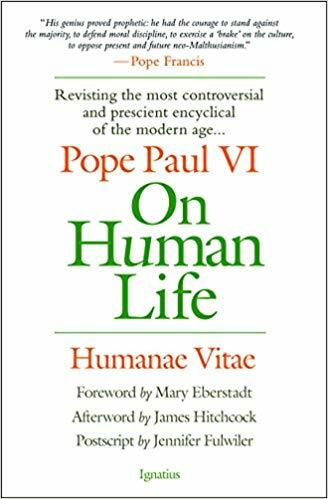 The liberal Pope Francis has made several public statements against abortion, but I don’t believe he’s said anything about artificial contraception. 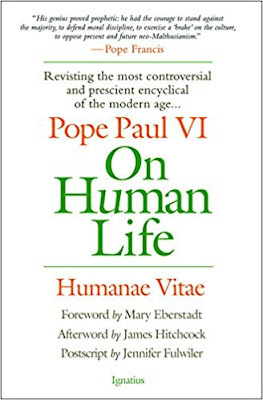 That too was declared sinful by his predecessor, Pope Paul VI in his 1968 encyclical: Humanae Vitae. Never have I heard a sermon on that teaching in any Catholic Church I’ve attended, it being politely ignored since its issue fifty years ago. Pope Francis has spoken out about climate change, about which he’s a fellow traveler with the Democrat Party, but nothing about the “carbon footprint” of more children — not yet at least. The unemployment rate is so low now that we’re essentially at full employment all across America. There are more jobs than people who want them. Although you may not believe it if you look out the window here in western Maine, summer is right around the corner. Building contractors, landscapers, restaurants, resorts, and many other businesses will be desperate for workers and we’re simply not producing them. Savvy business people are recruiting in eastern Europe and elsewhere for seasonal employees. Fewer high school or college kids want to work the way they did decades ago. What are we to do? Some European countries offer financial incentives for women to produce more children. Maybe we can do that here too but it won’t be enough. Our culture has changed from one that encouraged couples to have children to one that discourages them. For that trend to reverse will take a very long time. Mark Guerringue again sits in the left chair. We open with the release of the Mueller Report last Friday. 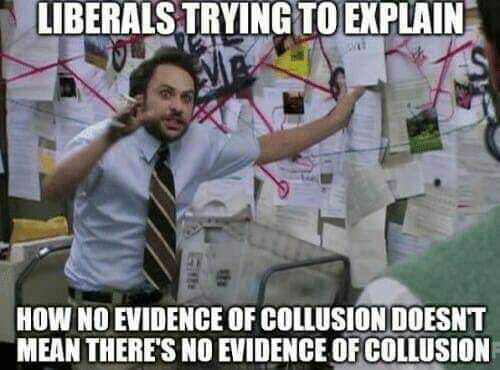 I reiterate what I've claimed for two years: There never was evidence of the Trump campaign colluding with the Russians so it's not surprising Mueller couldn't find any. Mark asks if I accept the results of the investigation given that I never believed Mueller to be the straight-arrow prosecutor he was purported to be. I respond that Mueller should never have taken the case because there never was any crime or evidence of one and he should have seen that. Mark says there was lots of smoke in the form of indictments generated by Mueller that didn't rise to prosecutable levels but that Trump had too many contacts with the Russians. 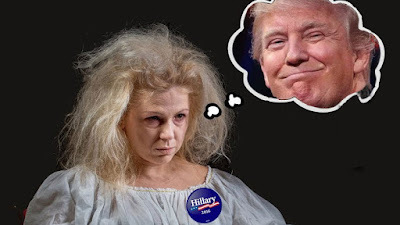 He thinks the clearing of Trump is good for Democrats because impeachment proceedings would have hurt them like the impeachment proceedings against Clinton hurt Republicans twenty years ago. He thinks Democrats should "move on." I say it's likely now that the Trump Justice Department will rev up its investigation of the frame-up initiated by Obama intelligence officials in CIA, FBI, NSA, and DOJ that should result in indictments of them. We discuss Obamacare and the lawsuit from Texas challenging Obamacare's constitutionality after Trump eliminated the mandate/tax provision. That was Chief Justice Robert's rationale for the legality of the legislation -- that it was a tax, which it isn't anymore. 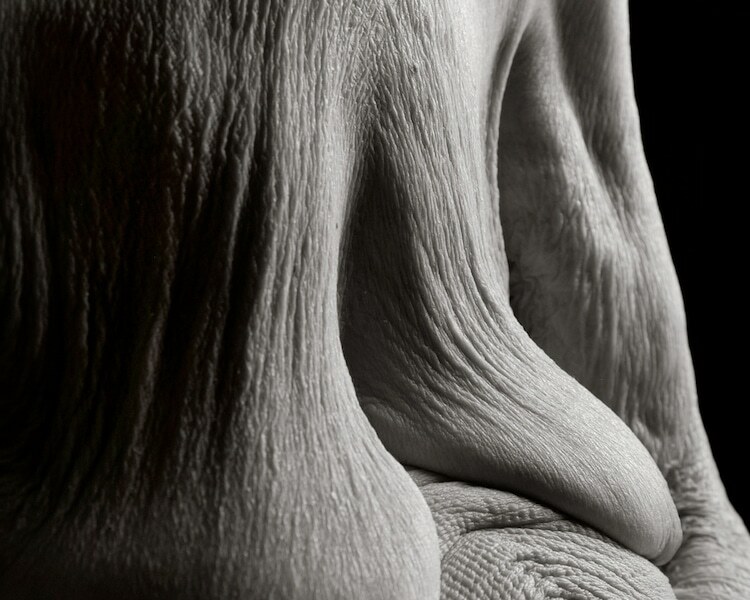 We discuss the efficacy of Medicare. Mark praises it. I call it unsustainable because government pays providers less than the cost to deliver the services so other consumers must pick up the difference. I cite that Democrat candidates for president would abolish private medical insurance companies. Mark is against that. He prefers a free market. We agree. I raise the Jussi Smollett case and cite numerous connections to left/Democrat people behind dismissal of his charges including Michelle Obama and George Soros and that one of Smollett's lawyers was indicted along with Michael Avenatti earlier this week. Mark brings up security clearances and neither of us knows if a president has to obtain one the way others do, or does he just get one automatically after being elected and inaugurated? I contend that Obama would never have gotten one as a private citizen because of his numerous connections to radical Islamic figures. Mark like Andrew Yang as a Democrat presidential candidate after he visited the Conway Daily Sun offices recently for a discussion. We discuss his idea of giving $1000 a month to every citizen of the USA. I'm skeptical. Mark suggests that next show we discuss political bias in social media. 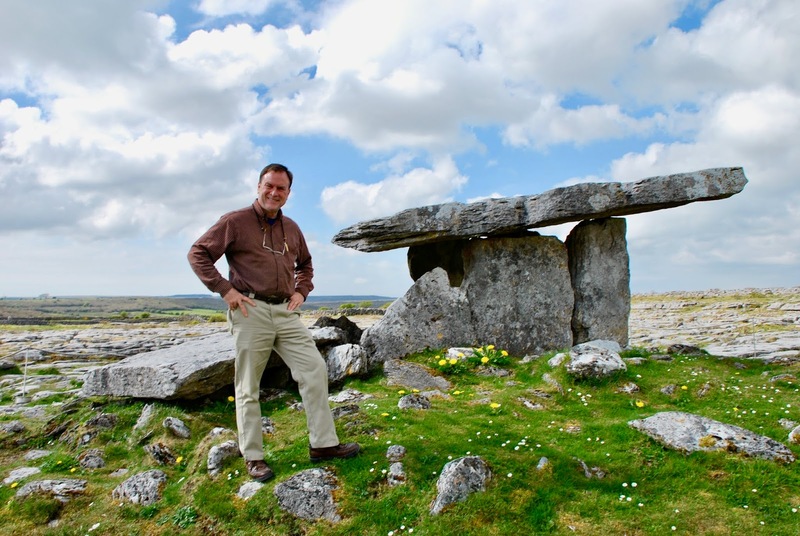 I'll be in Ireland the next two weeks and will miss the regularly scheduled next show. 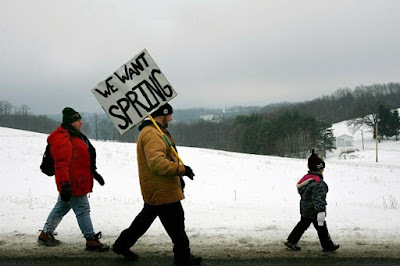 Americans got excited about two things last week: the arrival of spring on Wednesday and the release of the Mueller Report on Friday. However, not much change is noticeable in either case. It’s been a long winter in western Maine. We’ve been buried in snow since last November and there’s still more than a foot of it on the ground — more than two feet in places. Sunday I had to walk through drifts up to my thighs to check a meter on a property for which I’m responsible. As I write this on Monday, my thermometer hasn’t risen above the thirties. The same is predicted for Tuesday. 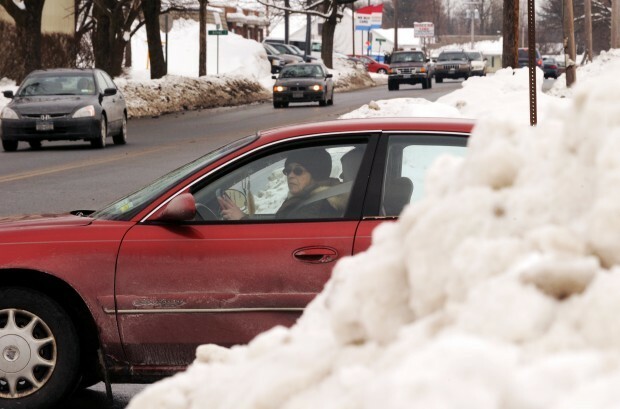 We still can’t see over the snow banks at several intersections and must nose out a few inches at a time before safely accelerating. The Mueller Report was released Friday to Attorney General Robert Barr. Democrats demanded it be made public immediately and AG Robert Barr issued a four-page summary Sunday afternoon. House and Senate Democrats doubt Barr’s honesty because Trump appointed him and demand to see the whole thing. Years of saturation coverage by Mainstream Media have convinced half of all Americans that Trump colluded with Russia but Barr quoted from the Mueller Report as follows: “The investigation did not establish that members of the Trump Campaign conspired or coordinated with the Russian government in its election interference activities.” In spite of that, House Democrats insist their myriad investigations will continue. Expect little change for the foreseeable future. In spite of our long, cold winter, Democrats claim global warming will destroy the world in twelve years. They want a “Green New Deal” which would eliminate fossil fuels and nuclear energy to rely solely on wind and solar power. It would eliminate 99% of cars within ten years. Any Democrats who disagree stay pretty quiet, especially the ones running for president. 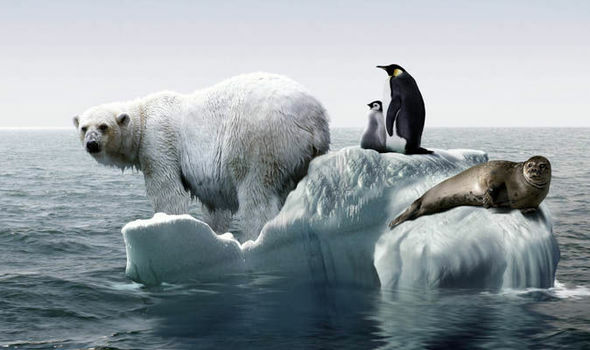 Neither polar ice caps nor Himalayan glaciers have melted as predicted. Polar bears are thriving too, but none of that has quieted global warming alarmists. On election day, I go to the Lovell Town Hall and vote, but I don’t stay up late that night to see who wins or loses. On New Year’s Eve, I don’t stay up late to see the ball drop in Times Square either. I discover sometime after waking up in January that the ball dropped without me and things go on as they always have. I’m in no rush to know things unless it’s either a medical emergency or someone is trying to break into my house. Break-ins are rare in rural Maine because most of us have guns and criminals know that. Medical emergencies, however, can happen to anybody, anywhere, and we have to wait longer for help out here. 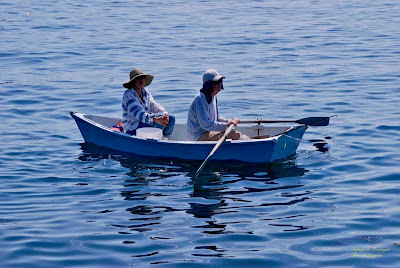 It’s a tradeoff if you prefer life in the slow lane, which I do. 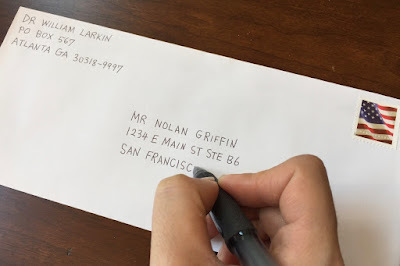 I grew up way back in the twentieth century when mail came in envelopes. Telephones were attached to wires and there was only one line per household. When it rang, people answered it. They didn’t let it go to voicemail because there wasn’t any such thing. In my family of origin, I had four sisters and three brothers, so there was often a race to see who could get to the ringing phone first. Whoever the call was for couldn’t tie up the line long because there was always a sibling or parent either expecting a call or waiting to make one. By the 1970s life in Massachusetts was getting fast and busy so I moved my family to rural Maine where only party lines were available. Our children were little and enjoyed playing with each other, so they didn’t need to talk on the phone to friends who lived miles away. That came a decade later — but by then we had a private line. With three teenage girls, I had to impose a ten-minute limit on each call. 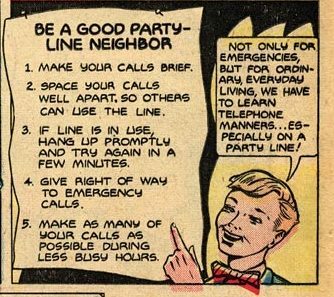 If someone was trying to reach me and the line was busy, they had to try every five minutes or so by actually dialing several numbers each time, then waiting for either another busy signal or a ring. Nobody “dials” anymore; we press buttons, but the word stays with us sans function. Politics have always interested me. They still do, but I’m increasingly put off by breathless, sensational reporting on radio as well as affected eyebrow-raising and forehead-knitting by pretentious television news anchors and reporters. To avoid all that, I’m getting most of my news from reading text online. By the time this appears in newspapers, it will have warmed up a bit and spring will have become less of a tease. Nearly all this snow will be gone in a month, but we can expect partisan rancor against our president to continue regardless of Meuller Report revelations. It may even escalate. 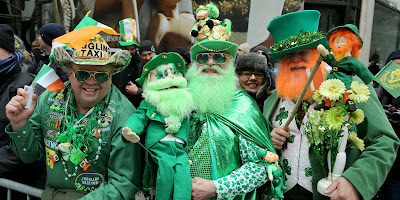 It’s St. Patrick’s day as I write this and I’m not wearing anything green. If I ever have in previous years, it’s been accidental. 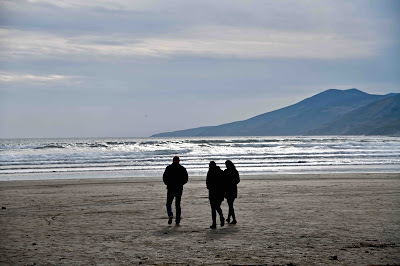 I’m American, a proud citizen of the USA and I’m very conscious of that whenever I’m traveling in another country, including Ireland where I’ll be visiting for the fourth time in a couple of weeks. 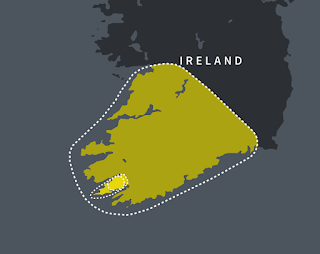 Though all my ancestors came from there and 97% of my DNA matches that of people who live in northwest Ireland, West-central Ireland, and southwest Ireland, I’m still very much an American. Thousands were sold into slavery in the West Indies during that time and Connaught (especially an area called The Burren) was an area about which it was said at the time “to have not wood enough to hang a man, water enough to drown him, nor earth enough to bury him.” All were evidently very poor, which is why so many left Ireland for America. Life was very difficult long before the potato famines of the 19th century which only made it worse. In spite of all that, the little leprechaun with his fists up on the logo of “Fighting Irish” sports teams at the University of Notre Dame does not offend me. 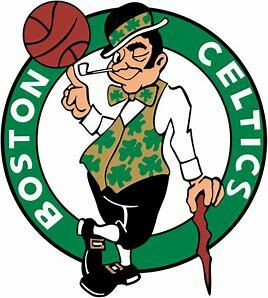 Neither does the one of another leprechaun spinning a basketball on the index finger of his right hand while balancing on a shillelagh with his left which the Boston Celtics use. 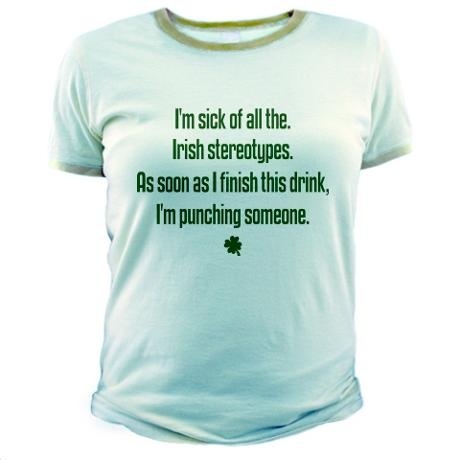 No Irishman or Irish-American, as far as I know, has objected to the stereotype that Irish people are prone to fighting. They are. As for the other well-known stereotype that the Irish are prone to drinking, that shoe fits too. It certainly has for my ancestors going back four generations at least. Paddy wagons were so named because they were usually filled with Irish immigrants named Patrick, or “Paddy” who were arrested for drinking and fighting. 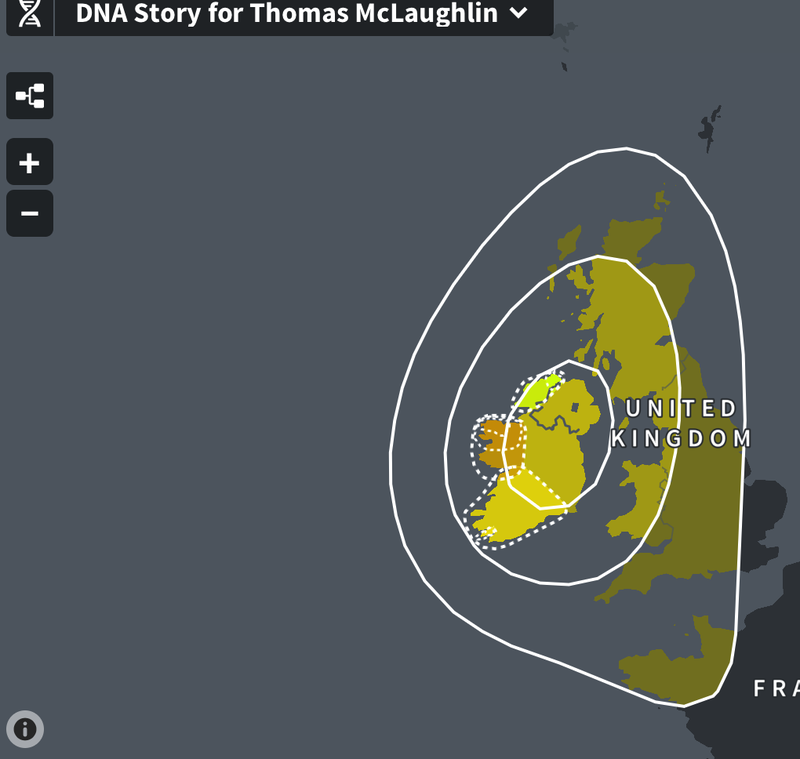 Are those attributes part of Irish DNA or have they been socialized into us for generations under Viking and then British oppression? Both? No one knows for sure but at least we’re not overly sensitive about them, unlike so many other kinds of people who lead campaigns demanding certain logos and mascots be changed. Yeah, the Irish have suffered, but any student of history knows that no ancestral groups, anywhere, have been spared suffering from starvation, war, slavery, and all the other nasty things we humans do to each other. Is it true what Matt Damon’s character in "The Departed" said about the Irish — that: “This is one race of people for whom psychoanalysis is of no use whatsoever”? How about what Thomas Cahill said about the Irish in his book, How The Irish Saved Civilization: “They pursued the wondrous deed, the heroic gesture: fighting…drinking, art — poetry for intense emotion…” Was he correct? Perhaps, but no Irish poet I’ve ever read stimulated intense emotion in me. They don’t reach me the way Robert Frost does. In America, my ancestors became coal miners, policemen, domestic servants, laborers, and streetcar drivers. Their offspring — my uncles, aunts, cousins, and so forth — have joined all the professions and many are doing quite well. We’ve assimilated fully and that’s good for America. 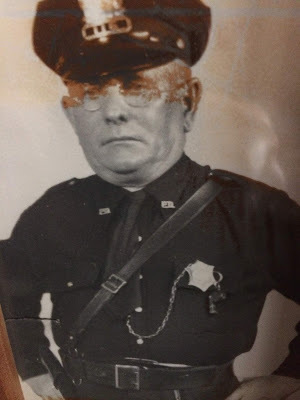 I’m struggling to find information on my great-grandfather, Eugene Sullivan, after whom my father was named. Born in County Cork, Ireland, he came over in 1900 and became a cop in Cambridge, Massachusetts. 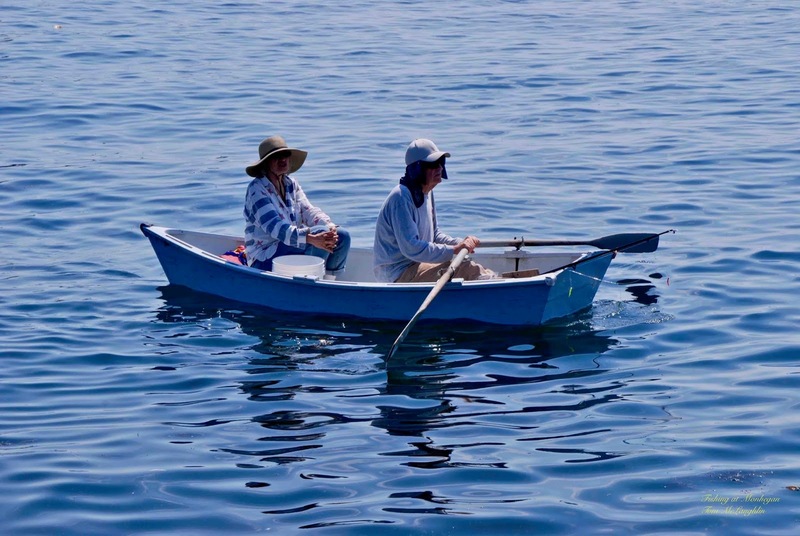 On the boat, he met his first wife, Mary Mahoney, also from Cork as the family story goes, who bore fourteen of his children in thirteen years before dying in 1917 at only thirty-nine. My grandmother, Mary Sullivan, was the oldest. She married and bore my father at nineteen in 1922 and five more children as well. 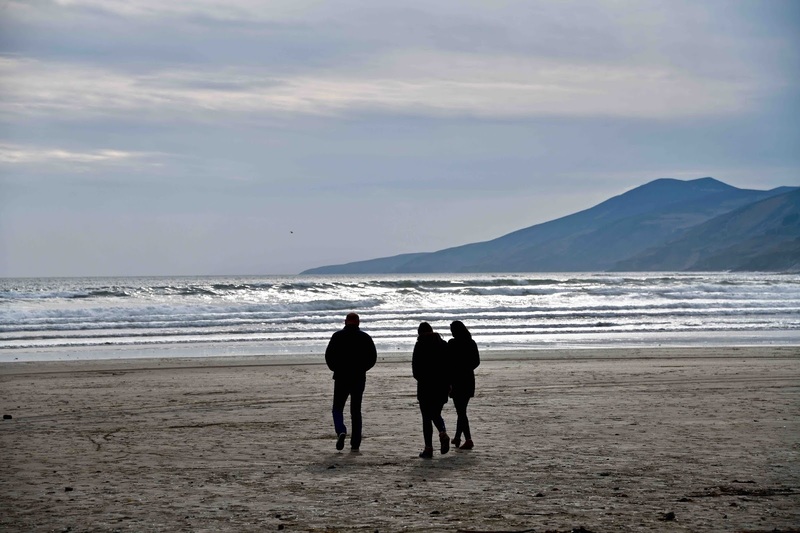 Mary Mahoney’s mother, Kate Mahoney, also bore fourteen children back in Ireland and she lived to be sixty — beyond average life expectancy for a woman in that time and place. My own mother had eight, and she is still with us at ninety-four with grandchildren and great-grandchildren too numerous to count. Three more are gestating, but that is not the norm in America today. If it weren’t for immigration, the US population would be in serious decline. Few native-born Americans want children anymore. They have dogs instead. America is changing and so is Ireland. I want to experience as much of it as I can before it changes into something that would be unrecognizable to my ancestors. 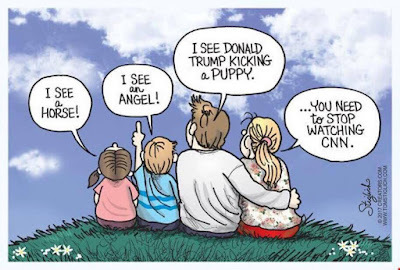 Newspaper publisher Mark Guerringue sits in the left chair this week and the producer asked if Trump's anti-media "enemy of the people" rhetoric contributed to a physical attack on a BBC reporter at his recent rally in El Paso. I say that it probably did because Trump often berates the media gallery who are also physically present there, especially CNN. Mark agrees. 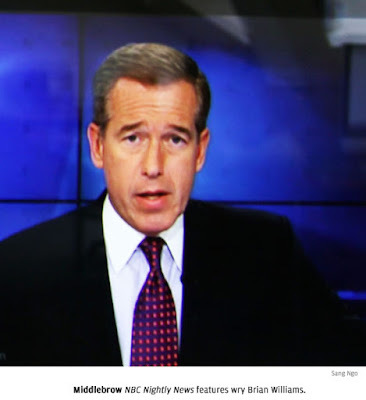 From there we discuss American attitudes toward media of all kinds. I contend most distrust media and see it as biased. Mark says it has always been perceived as such. Then we discuss the transition from hard copy newspapers to online news sources given that his newspapers got going in the late 1980s just before internet's huge growth. I asked him to reflect on the future of one versus the other. Mark believes hard copy newspapers will be dead in the not-too-distant future and reflects on the various reasons -- corporate ownership vs private ownership, choked ad revenue, etc. Mark points to the Cohen testimony in a US House committee alleging campaign finance violations by Donald Trump when he paid off a former mistress during the 2016 campaign. I cite opinions by Alan Dershowitz that these payoffs did not violate any campaign finance laws and Democrats can stop drooling over using them to impeach Trump. Mark contends that "we know [Trump] is a basically a criminal..." I tell him "Don't say we. Don't include me in that..."
Then he pivots to Trump's declaration of a national emergency over central Americans coming over the southern border and asks if I agree. I say yes. He disputes the declaration claiming that we have over 700 miles of wall and that drugs are coming mostly through ports of entry. I say that because drugs confiscated at such ports doesn't negate that they could be coming in other ways, and that we are overrun with drugs here in the USA. I relate my visit to the border and the chaos I saw in our Border Patrol nine years ago, and that it's a lot worse now. And, that the wall I saw was something I could scale even at my age -- that it was ineffective as a barrier. Mark says everyone supports border security, but I say the Democrats want open borders. Dem presidential candidate Beto O'Rourke now calls for dismantling the walls we have because they're "immoral." At one point Mark said we should change the subject from immigration because I was getting upset, "before you blow your cork." I counter that I'm making points he cannot refute. Then I raise the Jussie Smollett fake hate crime and relate it to the Covington Boy's High school kids who were vilified for wearing MAGA hats and connect it to Smollett. Then Mark seemed to get upset that I'm casting mainstream media in a bad light. "What's the point?" he asks. I then relate a Massachusetts incident in which a woman assaults a man wearing a MAGA hat in a restaurant and cops respond. They fingerprint her revealing she's an illegal alien and they report her to ICE. As for all the hostility against MAGA hats, Mark says, "I think you can blame Trump... There's a lack of civility in all those things and Trump is setting the tone." I point out that all but three Democrats voted against Senator Ben Sasse's bill to provide medical care for babies born alive after attempted abortions. Mark doubts babies are ever left to die, that no mother would permit it. What Democrat can beat Trump? Mark picks Biden. I pick Klobuchar. Platform or personality? When deciding for whom to vote, how much weight does each carry in voters’ minds? Is it more important to agree with candidates than to like them? 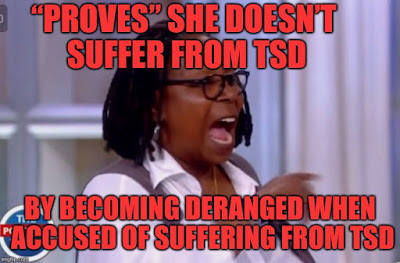 What if you like them but you don’t concur on the issues? As I’ve listened to people in the four years since Donald Trump first announced his candidacy for president it has become evident among his detractors that hatred for him as a man far outweighs whatever his performance has been as president. Trump’s supporters, however, care more about what he does than about what he says or tweets. Trump supporters cringed when he said he got the most electoral votes since Ronald Reagan because a quick search reveals that he didn’t. 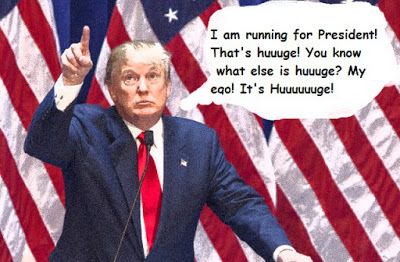 His egotism is so enormous that the presidency with its all its ego-stroking perks cannot satisfy it, but his favorability ratings climb nonetheless. Trump’s base is satisfied because he’s doing what he said he would do, like appointing conservative judges to the courts, cracking down on illegal immigration, and reining in China’s illegal trade practices. 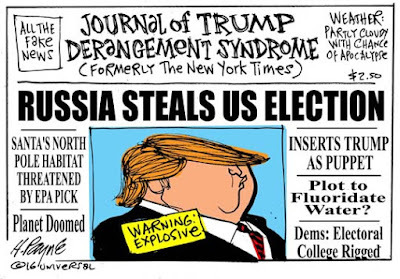 That drives the left and the media — which Trump supporters see as conjoined twins — absolutely bonkers because they not only hate Trump, they also disagree with him on the issues. Rather than criticize his policy positions though, they fire ad hominem salvos — continuously. Trump is racist, sexist, xenophobic, they insist, and so are those who voted for him. 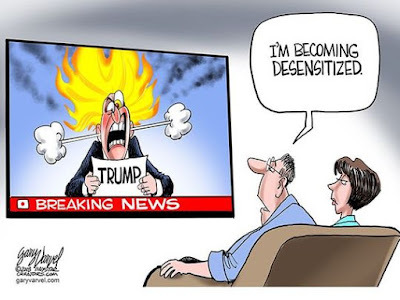 Leftist politicians and media have done little else throughout Trump’s presidency, but the effect has been the opposite of what they intend. Rather than drive them apart, relentless criticism of both the president and his base drives them closer together. 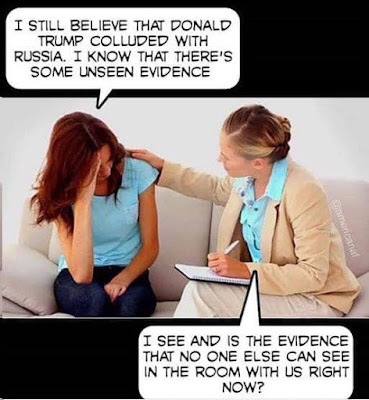 The Mueller report is due any time now but many are beginning to realize that it will have no evidence of Trump collusion with Russia in the 2016 election. However, Democrats won a majority in the US House last November and with that comes control of key committees, so Democrat chairmen are using subpoena power to scrutinize Trump on many fronts. Will they find anything with which to impeach the president? It’s hard to believe they will considering that media coverage of Trump has been more than 90% negative and they’ve been looking everywhere for negative things to report. The two-year Mueller investigation has probed so many areas far afield from its original charge of investigating Russian collusion that we have to wonder what’s left to investigate. 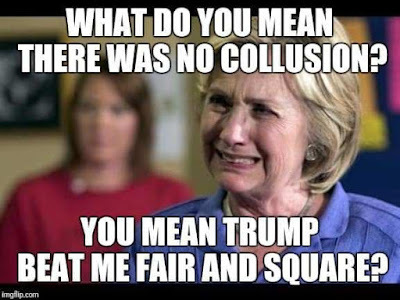 It seems clear now that removing Trump from office is the goal for Democrats and if there’s no Russian collusion, they’ll look for something else. Meanwhile, Democrats who want to run against him are voluminous and more announce almost every day. They’re promising the moon: free tuition, free medical care, government jobs for everyone, money for those unwilling to work, reparations for descendants of slaves and Indians, and rebuilding every single structure in the whole country. When asked how to pay for all that, they say they’ll tax the rich and print money. Meanwhile, the national debt has reached $22 trillion, eclipsing annual GDP — Gross Domestic Product — the sum total of all economic activity in the country. Some of us remember that twenty years ago President Clinton and a Republican Congress worked together to balance the federal budget and even talked about spending the surplus to actually pay down the national debt rather than keep adding to it every year. 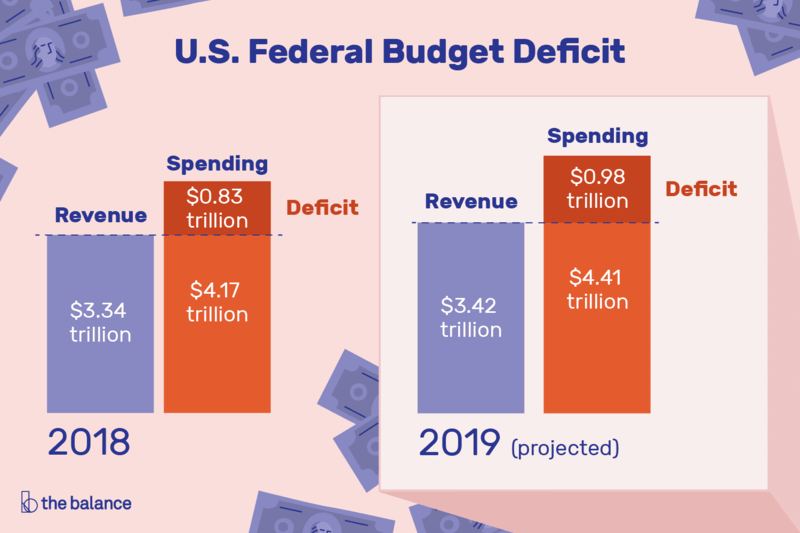 Trump’s tax cuts have stimulated the economy and government revenues are rising, but government is expanding even faster and so is the annual deficit. It’s growing at about $1 trillion a year again. 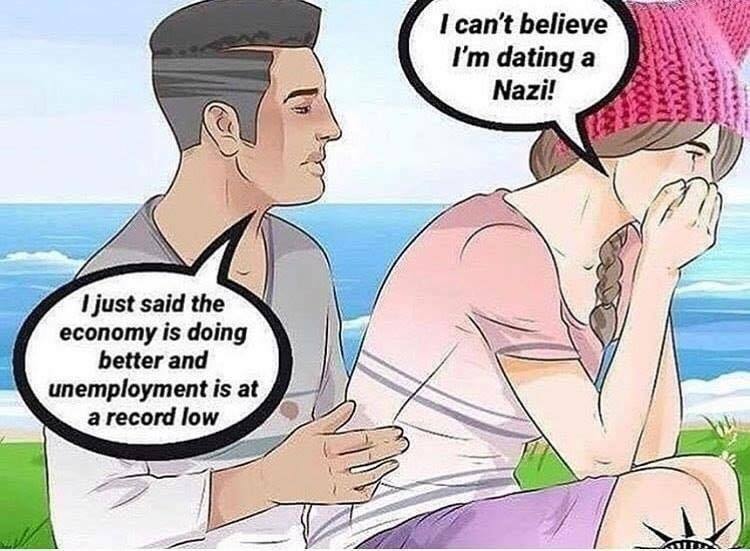 This used to used to be a big issue for Republicans though doesn’t seem to be anymore ever since Trump took office. 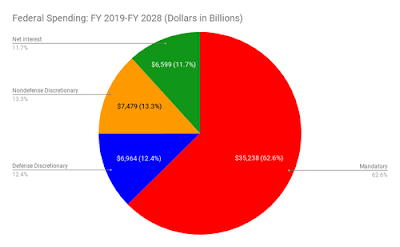 Americans paid $523 billion interest on the debt in 2018 and that will keep rising. How long can this go on? All of us know how much we make and how much we spend — what happens when we spend more than we make. 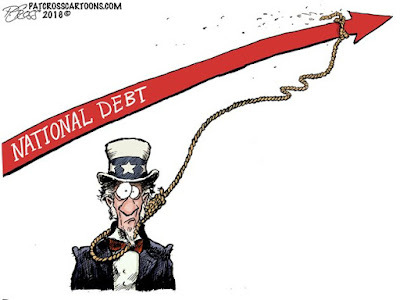 There’s a limit to how much debt we can sustain before it seriously cramps our lifestyle. We don’t need degrees in political science or economics to understand the same is true for our country no matter what part of the political spectrum we occupy.